Art in All of us... in Sydney. Supported by the UNICEF, Art in All of Us is a project aiming to create cultural exchange between every 192 UN countries using Art (photos, poems and drawings). Focussing on children as they are considered half a person in some countries. 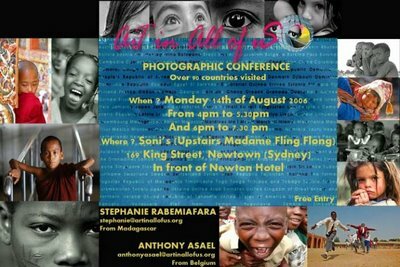 At the end of they journey, the 2 photographers will publish a book showing for each single country a photo of a child and a poem. They visited already 90 countries. 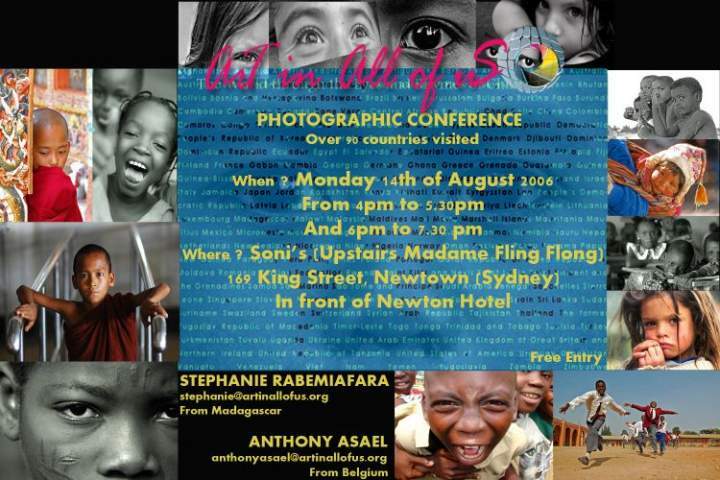 Venue: Soni's Newtown, 169 king street, upstairs at Madame Fling Flong.